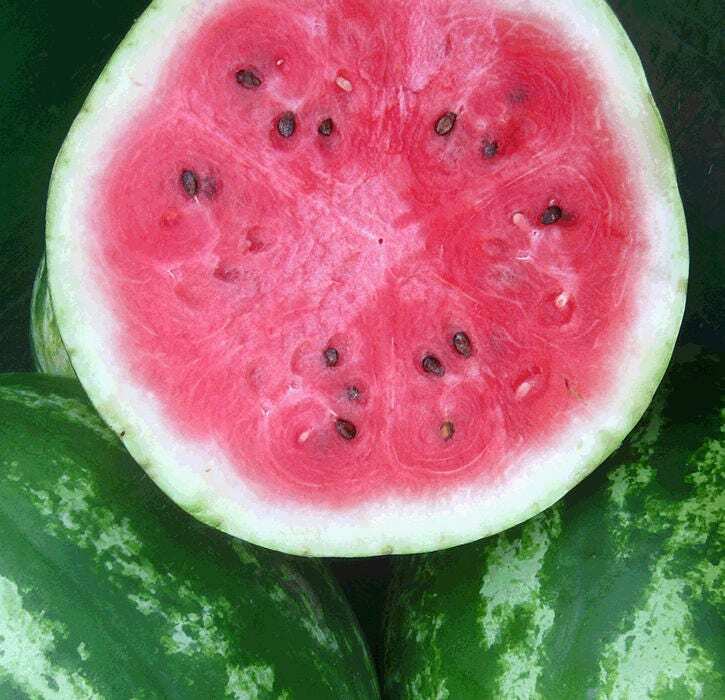 This heirloom variety is the way watermelons are meant to taste – crisp, juicy, and so sweet you may swoon. 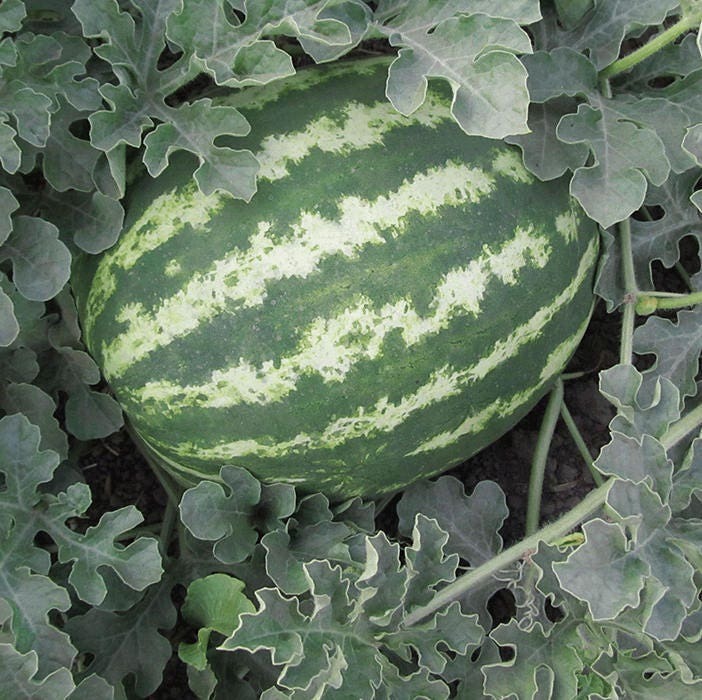 Fruits are 15-25 lbs., their red flesh wrapped in a striped dark-and-light-green package. Consistent taste test winner.